Enjoy a beautiful view of our championship golf course as you enter our white three-season Tent Pavilion for your function. The tent is 50’ x 100’ and can accommodate up to 250 people for a sit down dinner, up to 300 for a standing cocktail reception with limited seating. The tent is carpeted, and has a wooden dance floor. It is elegantly decorated with lighted ficus trees around the perimeter. The tent is also amply lit for an evening reception. Tented receptions are offered beginning in late April through the last week in October. 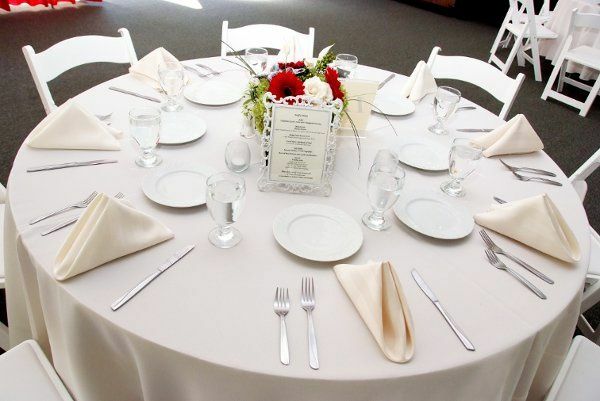 Bradford Country Club includes the assistance of a professional function coordinator to help with all your planning needs. 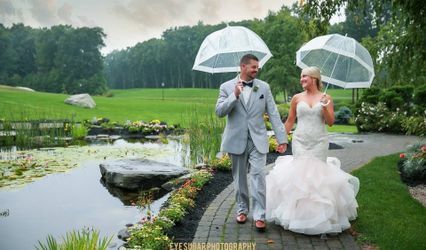 For a complete wedding packet or to schedule a visit to Bradford Country Club, please contact our function coordinator at (978) 372-8587. We had our wedding here and it was absolutely the best decision we made! Not only is Kristin an absolute sweetheart, but her assistant and staff were so incredibly positive and pleasant to be around and work with. The food was out of this world!!! I had no idea food could be that delicious from a venue! I've been craving our wedding food ever since. Kristin was so easy to work with and was so accommodating. She made me feel so comfortable during such a crazy time. I would recommend them for any event and will for sure keep them in mind for the future!! I'm not sure what to say about this venue! My husband and I chose the Bradford Country Club for many reasons. The first being that it was extremely affordable and convenient. The second was because the owner Kristin Murphy made us feel very welcome from the minute we met her. She did a great job keeping in touch with us throughout the course and on the day of, she literally saved the day and hand wrote every single place card for us as I had left them home! The professionalism of not only herself but her staff was unbelievable. The best compliment I heard all night was how amazing the food was! We literally had a pasta bar and a Prime Rib carving station, and the prime rib, literally melted in our mouths. This venue was perfect for us! To top it all off, she had her staff follow up the next day to make sure we had everything and then she continued to contact us to thank us for choosing the Country Club. Kristin and her husband take great pride in their venue and they go above and beyond to make sure that your day is YOUR DAY. I could go on and on! Thank you to Kristin and Kevin for being amazing individuals and for making your venue one of the most memorable parts of our wedding! 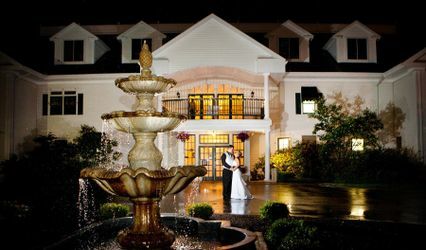 The Bradford Country Club was the perfect venue for my husband and I. The wedding coordinator was thoughtful, attentive, and a pleasure to work alongside. From the first day we visited the site until the day of wedding she was always there for us and took the time and effort to make sure everything was exactly the way we envisioned. From the moment we met with her we knew this is where we wanted to get married and our day was even better than we could have anticipated. The site was beautiful, and, even though it rained on our wedding day, the secondary site inside the tent couldn't have been arranged nicer. Kristin and her staff went out of their way to ensure that our day was perfect. Everything went seamlessly and they were attentive to every detail. We highly recommend the Bradford Country Club as a venue. Our experience working with them was highly enjoyable and because of their hard work our wedding day was everything we hoped for.